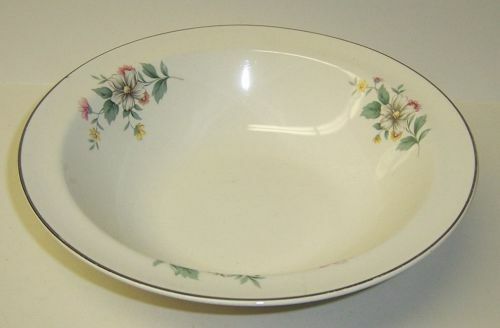 This is a really great Springtime round low, flat, rimmed Soup Bowl made by Hall China. 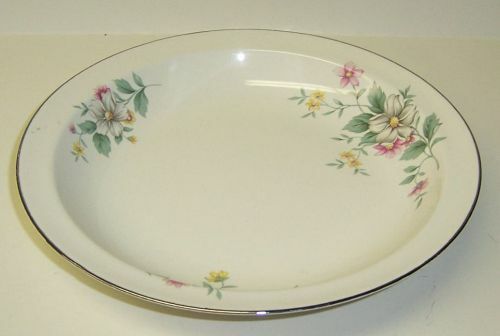 This Soup Bowl measures 8 1/2 inches in diameter X 1 1/2 inches high It is signed on the back SUPERIOR HALL QUALITY DINNERWARE - SPRINGTIME PATTERN. This Soup Bowl is in very good condition with no chips or cracks. The Springtime pattern and Platinum trim is all very good. Be sure to search our other Hall China available. We guarantee items to be as described. THANK YOU. 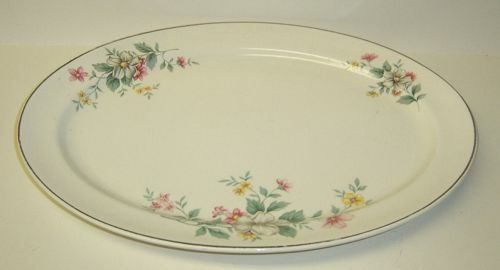 This is a really great Springtime Oval Meat or Serving Platter made by Hall China. This Platter measures 13 1/4 inches wide X 10 inches across. It is signed on the back SUPERIOR HALL QUALITY DINNERWARE - SPRINGTIME PATTERN. This Platter is in very good condition with no chips or cracks. There may be just a couple minor surface scratches near the center. The Platinum trim is very good. Be sure to search our other Hall China available. We guarantee items to be as described. THANK YOU. 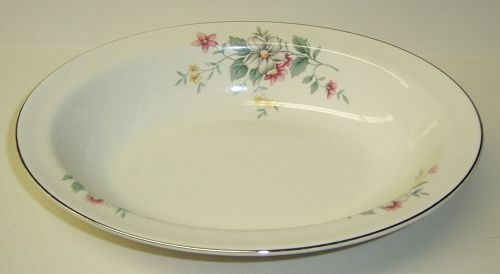 This is a really pretty Virginia Rose Shape Fluffy Rose pattern 8 3/8 inch Rim Soup Bowl made by Homer Laughlin China. This Soup Bowl measures 1 3/8 inches high and is in very good condition with no chips or cracks. The surface is shiny. The platinum trim is all very good. It is signed on the back HOMER LAUGHLIN - VIRGINIA ROSE - MADE IN U.S.A. - J54N8. Be sure to search our other Virginia Rose china available. We guarantee items to be as described. THANK YOU. 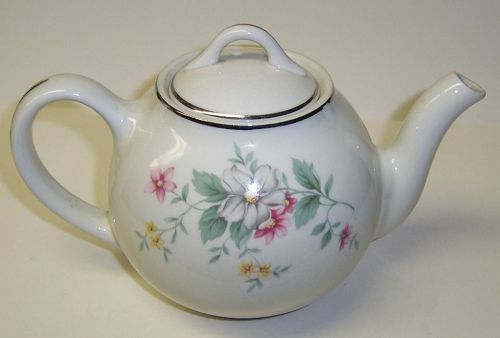 This is a really great 5 Cup White Palace Teapot with Lid made by Noritake China. 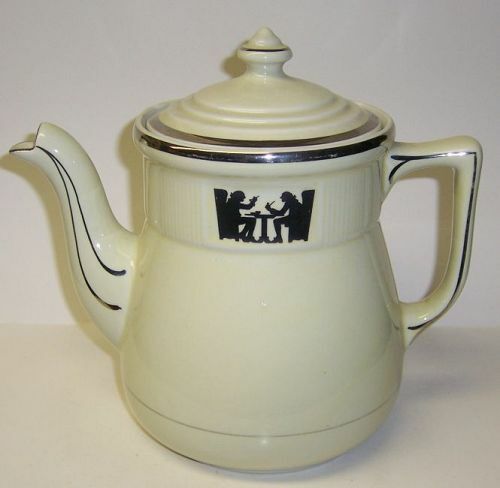 This teapot is signed Noritake White Palace on the back. Both the teapot bottom and lid are in very good condition with no chips, cracks or scratches. The gold trim is all very good. This would be a very distinctive teapot to add to your table setting, teapot collection or hard to find items. We guarantee items to be as described. THANK YOU. 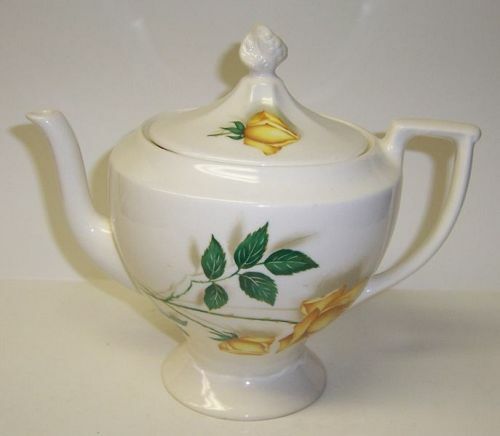 This is a really great 4 Cup Bermuda Rose Teapot with Lid made by Canonsburg China. This Teapot measures 5 1/4 inches high to top of knob. Both the bottom and lid are in very good condition with no chips or cracks. The yellow Bermuda Rose decoration is very good. We guarantee items to be as described. THANK YOU. 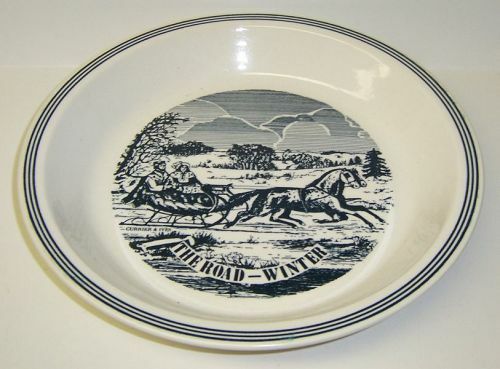 This really nice Currier and Ives The Road - Winter 10 Inch Pie Plate or Pie Baker was made by Royal China. This Plate measures 1 1/2 inches high and is in very good condition with no chips, cracks or scratches. It is signed on the back with The Road - Winter story. 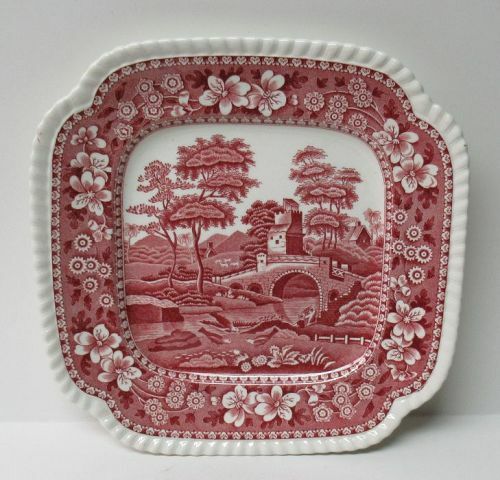 Be sure to search our other Currier and Ives china available. We guarantee items to be as described. THANK YOU. This is a really pretty pair of Crest O Gold 22K Warranted George and Martha Salt and Pepper Shakers made by Sabin China. These shakers measure 5 1/8 inches high and are in very good condition with no chips or cracks. There are no corks in the bottom. The 22K gold decorated trim is very good. These shakers can be hard to find in this condition. We guarantee all items to be as described. THANK YOU. 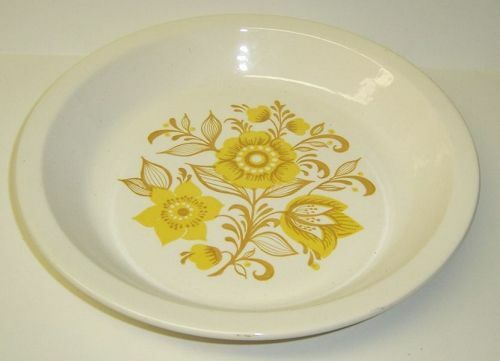 This is a really great Yellow Bermuda Rose 9 1/4 inch diameter Deviled Egg Plate made by Canonsburg China. 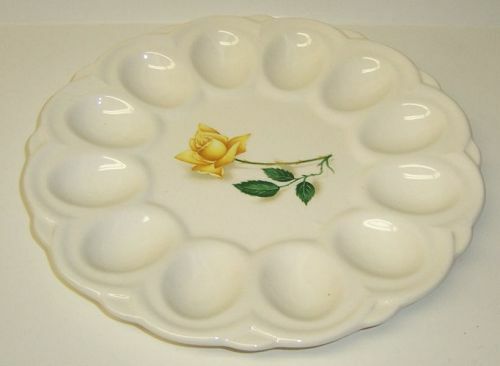 This Egg Plate is in very good condition with no chips or cracks. The Yellow Rose decoration is all very good. The Egg Plate is signed on the back CANONSBURG The HALLMARK of QUALITY. We guarantee items to be as described. THANK YOU. 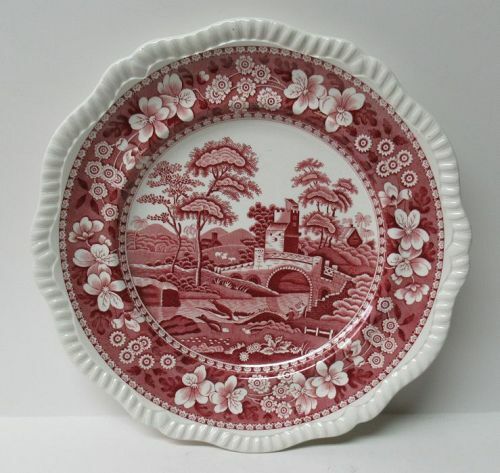 This is a really nice Jubilee 10 inch diameter Pie Plate or Pie Baker made by Royal China USA. This Pie Plate measures 1 1/2 inches high and is stamped USA on the back. It is in very good condition with no chips or cracks. Be sure to search our other Royal China available. We guarantee items to be as described. THANK YOU.